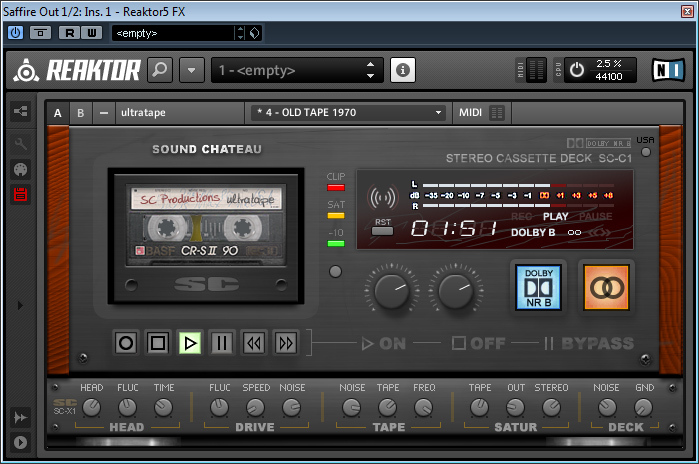 UltraTape is the first plugin that simulates the original dirty sound of a tape deck in realtime! Developed & created by Daniel Scholz for Native Instruments Reaktor 5! REQUIRES AT LEAST REAKTOR VERSION 5.71! After your purchase you will get the plugin within the next 24 hours via your paypal-email-address. 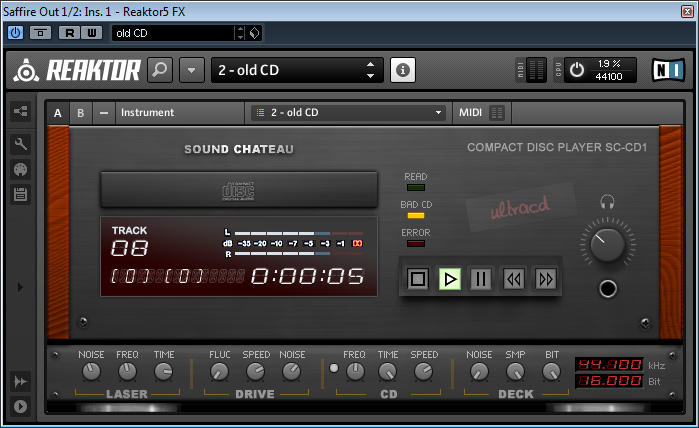 UltraCD simulates the mechanically characteristic of a CD player in realtime!